Yamaha Wolverine Side by Side Buyer's Guide. The Yamaha Wolverine model with its' 700 single cylinder engine was the logical successor to the original Rhino. It appears it won't be available as a 2019 model. Yamaha hasn't said if it will be brought back at a later date. 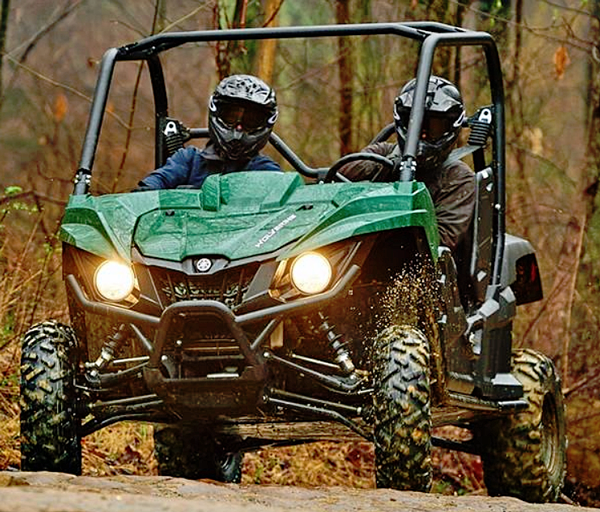 Yamaha says the Wolverine is designed to provide the best blend of capability and value in the side-by-side segment, thanks to the blend of suspension, handling, drivetrain and chassis components working together to give you the ability to traverse rough terrain with confidence and comfort. 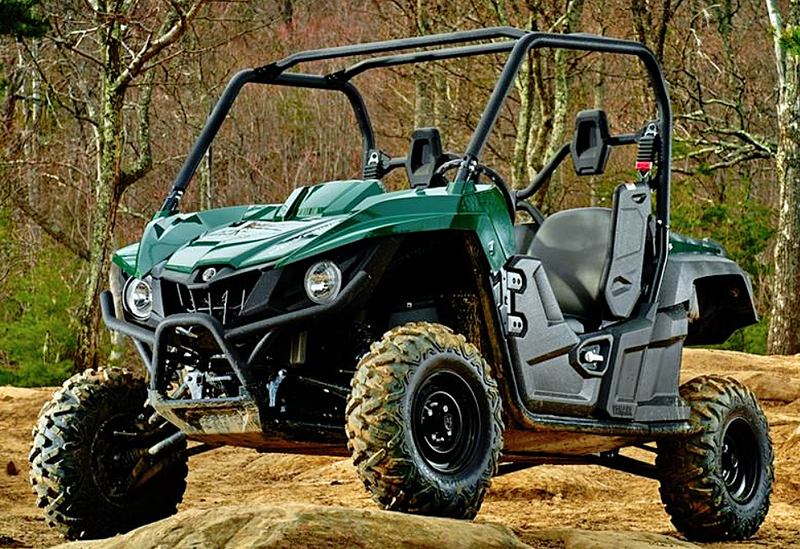 Wolverine features a four-wheel independent suspension with long-stroke KYB shocks that provide quality damping feel, reliable bottoming resistance, and preload adjustability to handle a wide range of riding styles, loads and terrain. The Wolverine is powered by Yamaha’s newest and most advanced 700-class engine ever, with dual overhead cams and fuel injection. The 708cc engine's power character is optimized for smooth, linear, power delivery to tackle both open trails and more technical terrain. Yamaha’s Ultramatic continuously variable transmission (CVT) provides smooth power delivery, dependable all-wheel engine braking and reliable operation, for worry-free performance at work - or at play. A centrifugal clutch between the engine and transmission offers smoother engagement and eliminates belt slippage. With a simple twist of the dial, drivers choose 2-wheel drive, 4-wheel limited slip, or 4-wheel full differential lock, enabling the Wolverine to find traction through just about anything. The front and rear of the chassis are tapered on the sides and bottom of the vehicle to reduce potential contact on tight trails and in rough terrain. With an 81” wheelbase and 11.4” of ground clearance, the Wolverine is designed for best-in-class terrainability, while the body design and low hood gives drivers maximum visibility to navigate tight, technical trails and challenging terrain. 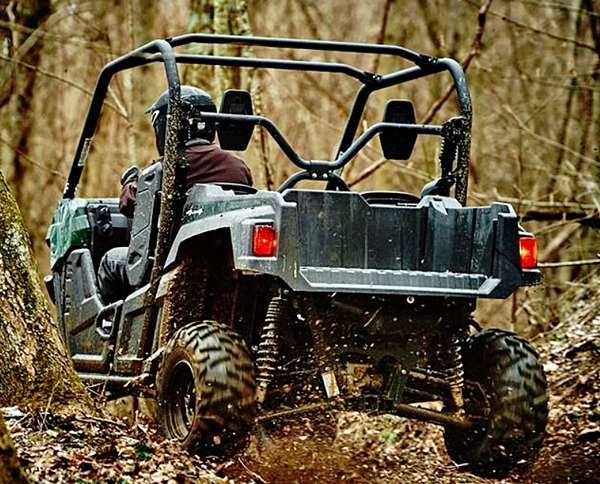 The chassis is optimized to conquer tight, difficult terrain. The full underbody skidplates lets it glide over many obstacles that might hold others back… and those skidplates are swept up more than two inches on each side to maximize clearance at the wheels. Oil and gas KYB shocks with 9.7” of travel in the front and 10.6” of travel out back deliver the suspension and occupant comfort when hitting the trails, along with 5-way adjustable preload to handle varying loads. Front wide-arc A-arms and full-length skid plates maximize durability, terrainability and provide 11.4” of ground clearance. Flares on the frame protect the rear wheels from oncoming trees and rocks. Exclusive 26-inch Maxxis Bighorn 2.0 tires provide optimum traction, durability, comfort and steering precision. Large diameter front and rear wheel disc brakes provide the stopping power with twin pistons for predictable, overall brake feeling. Drilled rotors increase cooling and reduce noise, plus the wet parking brake is completely sealed, so it’s protected from the elements and virtually maintenance-free. Standard, heavy-duty two-inch receiver-style hitch can tow up to 1500 pounds. The tough, molded composite bed is rated to haul 300 pounds of gear, with six steel tie-down hooks to secure cargo. The Wolverine has a good balance of power, suspension, and size. Comfortable seats with dedicated headrests provide support and they’re positioned for optimal visibility. The driver’s seat is 3-position adjustable, too. Three-point seat belts, shoulder bolsters and an adjustable passenger handhold add to the comfortable feeling inside the cabin. Two cup holders, two center console storage bins and a dash-mounted glove box provide maximum space for storing items in the cab. The Yamaha Wolverine offers plenty of space for two. Even though Yamaha has dropped the Wolverine from the 2019 model lineup, there are still 2017-2018 models for sale at discounted prices. At about $2,000 less than the newer X2, it has more ground clearance and wheel travel in a lighter and more compact package. If you're bargain hunting it might be worth a look.